Hello Guest! Welcome back to the forum. Our newest user is TwinkieTheLlama, give em a welcome! 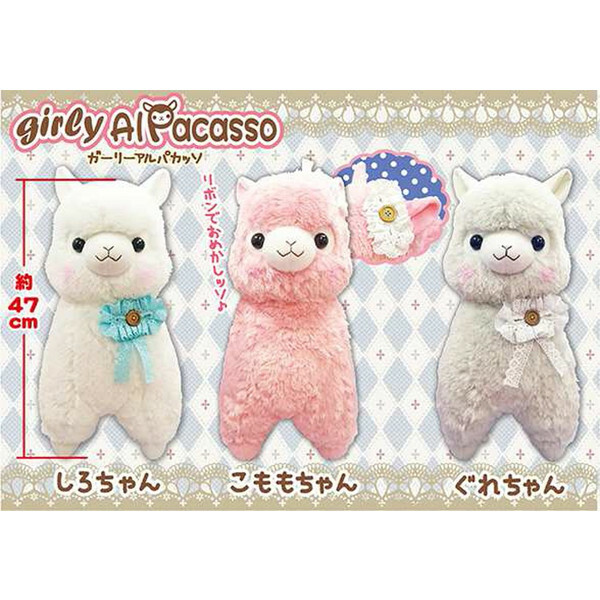 So on on Rosy's Instagram, she's posted preview images of a bunch of new AMUSE products coming out soon, including the August Alpacasso release! It looks pretty much like the earlier Oshare Lace Alpacasso from a few years back, but with some new colors. What does the one in the front-middle look like to everyone? Some commenters are saying it looks like a very pale gray. I also wonder if the pink one in the top left will be more the salmon-pink of the Pop'n Ribbon, or the regular pink of the Rainbow, Hatter, etc. If these are coming out in August, anyone know what's coming out in July? YES! I saw these! I'm really hoping for a grey alpaca. Also salmon! I want a samon of this new cute series! I basically want all the ones with white ribbons, haha. I hope the middle one is gray after all! I hope they do more black and orange Alpacasso soon; I really liked the llama color on the original Oshare Lace series. 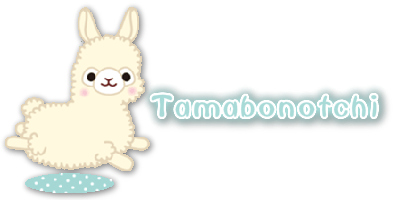 I know a some other AMUSE stuff is coming out in July, like the Summer Vacation Mameshiba, but I haven't heard anything about Alpacasso yet. Maybe that's sort of a break month for them? Hnnnnnngh I want the yellow and purple, hopefully they look just as cute when more HQ pics come out! I hope there's a July release though, perhaps it was like how they advertised for the sherbet kids months back but still had series in between? II hope it is grey! Ive wanted a silver/grey series forever! ooh my goodness I really hope that alpaca is indeed grey because I'll be so excited to grab one of them! I kind of really like them *_* I like how they didn't add eyelashes to any of them like in the old oshare lace series. @ufocatcheraddict wrote: I kind of really like them *_* I like how they didn't add eyelashes to any of them like in the old oshare lace series. The llama has eyelashes! But she might be the only one. Ohh, I couldn't tell from the small pic on instagram! I agree the pink boys/ones without eyelashes are super cute! 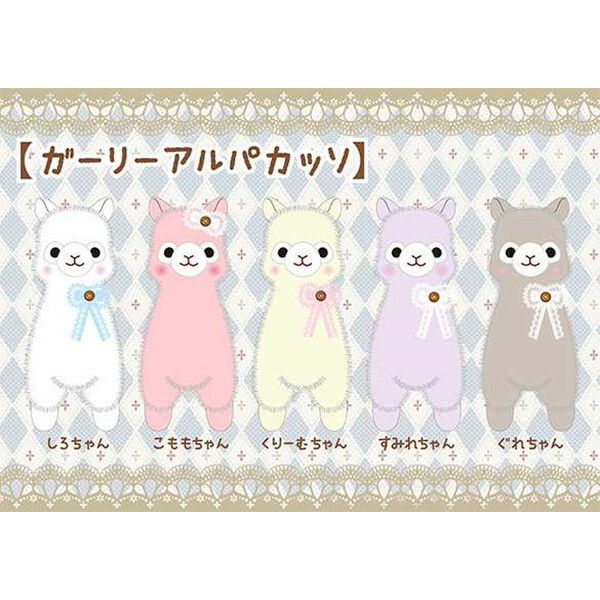 The greyish one does look like beige or off-white, but then there's the one in the top-right that looks like the normal beige colors they use for Alpacasso... But after how different the pink Pop'n Ribbon turned out to be from its early preview images, I'm hesitant to say for sure what color any of them really are, haha. The grey looking one is grey colored. They're named after their colors, which is on the picture. but hey, maybe in person they will look better. So after some intense digging, I've found some more images of the August series! i'm gonna have to get the grey and purple at least in 16cm, but i really wouldn't mind the large grey either. i've been saying for so long i wish they made a grey alpaca. Oh no, I was totally unimpressed until Katie revealed that there was a purple XP Now I just might have to get one of them! But as with the sherbet kids I'm gonna wait until Rosy or Tokkitishop posts their own pics of them before I decide to buy anything. I've noticed that some of the purples are more of a slightly purple-tinged pink haha, and I'd rather have a nice, true purple like the scalloped-tag macaron or the goodnight purple. We shall see! The gray could be interesting as well! I will for sure get a large grey! And probably that salmonish (depending on what it turns out to be) in 16cm! I'm definitely getting the large gray, and probably the little purple and yellow, and maybe the pink depending on what color it turns out to be! Oh, yay! Thanks to Katie for finding the pictures! I'm excited about these because I love the basic design of the Oshare lace, but as an older series, their faces tend to be sorta messed up... These will probably have much cuter faces! For promo images, eye lashes are usually added later. I hope they don't add eyelashes to the grey or purple ;U; The pink one seems like it will get them. I REALLY hope the purple is more bluish purple than reddish- Rosy's picture makes it look more similar to Budou from the Sorbet series?